Emergence of Internet of things (IoT) provides innovative connectivity platforms for smart devices and systems covering variety of applications. IoT applications start from small objects to manufacturing units and growing to areas such as smart cities. Applications of IoT are also expanding in all aspects of transportation systems (passengers, vehicles and infrastructure). 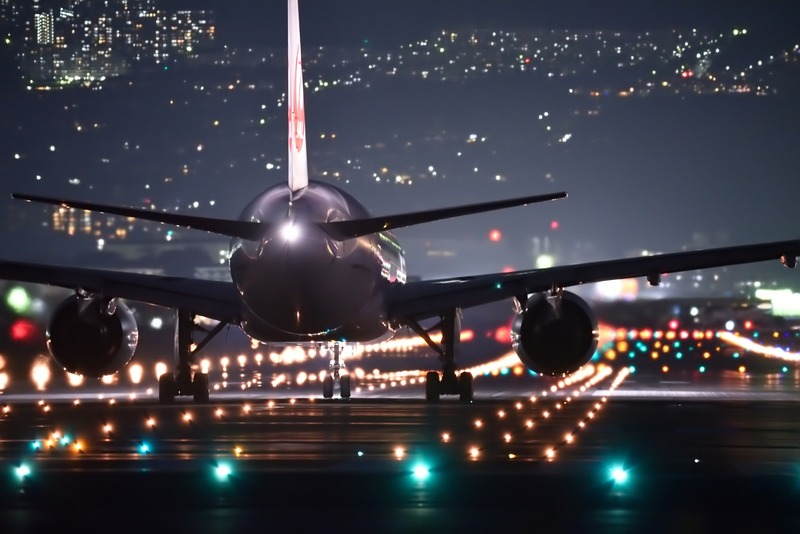 Growing air traffic and volume of passengers led the airport management to adapt advanced and connectivity solutions to become more proactive minimize the risk in changing aviation dynamics. Primary aim of the smart airports is to make systems interconnected, intelligent and effortless access of passengers. Globally, two thirds of airports are planning major developments in passenger effortless self-service solutions to provide better services. On the other hand, IT expenditure is likely to be the top priority by airport authorities. By 2018, more than 38% airports globally will be infused by the digital technologies such as interactive way findings, smart tracking of passengers and smart check-in services. In 2016, more than 57% passenger used kiosks to check-in and 37% passenger used smart bag tagging services. According to SITA, Geneva based airport solution company, more than 91% passengers who use some kind of smart services at airport stated that they would like to prefer such services in future trips. Expanding applications of IoT has provided ease to passengers as well as airport operators by automation of infrastructure and self-service processes, which is the major reason behind the rising demand for smart airports solutions across the globe. In past few years, there has been rapid growth in number of self-service solutions, kiosk check-in and bag recovery at the airports. Globally, passenger traffic is increasing with 5% Y-O-Y growth and IT spending by the airport authorities are growing to lower their operating expenditures and to implement advanced technologies, fuel the growth of global smart airport solution market. However, high initial investments and slow rate of adoption by the emerging economies are expected to hinder the growth of global smart airport solution market. Rising number of flight passengers and growing need of air travel owing to globalization of businesses are some of the factors that led the airport operators to adopt the airport smart solutions for enhanced connectivity and to accommodate growing numbers of passengers. Airport authorities are also adding new and efficient services which increase passenger satisfaction, which help the aviation industry to increase their revenue from non-aeronautical services. Smart airport solution also provides digital management services to manage energy resources, which improves the environmental footprint through green solutions. One of the major challenges faced by the airports is safety and security threats which can be minimized by smart airport solutions. Predictive security and smart operation planning of airport are expected to boost the market growth of smart airport solutions market. Huawei, leading player of smart airport solution and services caters more than 40 airports, airlines and ATC authorities worldwide. Huawei customers include 10 busiest airports of China and serve more than 30 million passengers. In 2016, Huawei partnered with Dubai airports to develop world first TIER-III certified modular data centre complex (MDCC) at Dubai international airport. This shows the growth opportunities for the smart airport solutions market players in developing countries such as China, India, Brazil, Dubai and others. According to Goldstein Research, there are more than 2,000 ongoing airport projects across the globe with more than USD 400 billion investment. Development of airport infrastructure and construction of new airport showcase the massive growth of smart airport solution market in upcoming 5-6 years. Although, high cost of infrastructure is one of the major reason which is hindering the growth of global smart airport solution market in the current scenario. Moreover, complexity related to smart devices and systems is expected to hamper the growth of smart airport solution market over the next five to six years. Domestic airports constitute major passenger traffic flying within the domestic region, but are not making enough investments to develop their IT infrastructure. The global smart airport solutions market accounted at USD 7.38 billion in 2015 and is anticipated to expand at a compound annual growth rate of 12.3% over the forecast period i.e. 2016 to 2024. Rising need of smart security and smart passenger services are the two major factors which are pushing the airport authorities towards the inclination of smart airport solutions. The rising number of airports across the globe with advanced connectivity facilities is bolstering the demand for high-end smart airport solutions. On the basis of these factors, Smart Airport Market is anticipated to garner USD 18.76 billion by the end of 2024. Global airport solution market is segmented into different application such as Smart Operations Planning, Intelligent Passenger Tracking and Predictive Security. Smart operation planning and intelligent passenger tracking system such as flight details, kiosk Check-in and smart air traffic control is expected to expand at a CAGR of 18.6% over the forecast period. Globally, North-America and Western Europe accounts the major revenue share with more than 45% in the global smart airport solution market. Developing countries such as UAE, China, Brazil and others are anticipated to be fastest growing countries over the forecast period on the back of huge investment in infrastructural facilities. According to Goldstein Research, Middle-East smart airport solution market is expected to reach USD 1.6 billion by 2020, owing to high investments particularly in UAE. 8.2.6. Huawei Technologies Co. Ltd.